Rose is responsible for the overall design and implementation of the organization’s strategic plan. 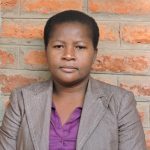 She has a Bachelor’s of Science in Agriculture from University of Malawi and a Master’s of Science in Forestry and its Relation to Land Use from the University of Oxford. 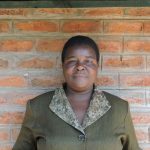 Rose has twenty-one years of experience in areas of Program Management, Forestry, Irrigation Agriculture, Food Security, and Natural Resource Management. She has worked for the World Agroforestry Center and several European Union funded Rural Development projects. Paul is responsible for accounting and administration of the organization funding which involves project and financial management of the grants and Centre finances. He is a qualified accountant currently pursuing professional qualification of ACCA. Paul posses an extensive experience of 7 years from the accounting and banking sector and has also been involved in lecturing on part time basis. Arthur has over 20 years working experience in the area of forestry. He facilitated enforcement of Forestry Act and Policy through trainings, meetings and patrols. 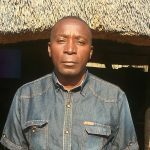 In the past years, he has been involved in preparing annual work plans of activities and monthly work plans, Facilitating community mobilization in forestry activities, Facilitating nursery management and out planting as well as woodlot management. He holds an Advanced Diploma in Community Development. 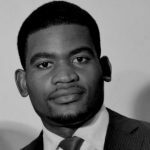 Charles is an agricultural economist who has gained a deep understanding of this specialized field of operations within the established national sectors as well as International sectors. He has valuable experience of leading and managing teams in project management and community development programs through servant leadership. He is recognized to have excellent planning, organizing, Monitoring & Evaluation and analytical skills and innovation to solve problems through a logical approach. He holds a Bachelors Degree in Agriculture Economics. 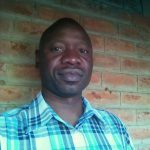 Davie has 7 years working experience in the field of agriculture, agroforestry techniques, extension work, plantation management, monitoring and evaluation. He holds a Bachelors Degree in Forestry. Beauty has 12 years experience working in the areas of forestry, disaster resilience, climate smart agriculture as well as research and monitoring. 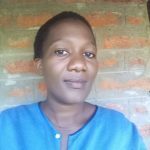 She works on the Energy Forest for Malawi project based in Mangochi district. She holds a Bachelors of Science in Forestry. Dorothy has a Bachelor’s Degree in Forestry and a Diploma in Agriculture and Natural Resources Management.She joins Kusamala on The Multisectoral Food and Nutrition for Young Smallholder Farmers in Malawi with a lot of experience implementing different projects in rural communities with various administrative responsibilities both in public as well as the private sector. In the past years, She has been involved in capacity building for farmers, project and extension staff, mobilization and group formation, Planning, monitoring and evaluation of project activities, budgeting, development of annual work plans for livelihood interventions, coordination with government officials in project implementation, identification of new project sites, problem solving and reporting writing. She has over 10 years hands-on experience in Facilitation and implementation of Community Development, establishing and managing tree nurseries, community mobilization and collaborating with stakeholders at local level and national level. She also comes with experience in assessing business proposals and monitoring and/ supervising farmers in Agriculture, Irrigation and Forestry activities. 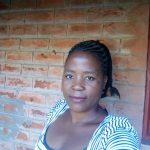 Ester works on Multisectoral Food and Nutrition for Young Smallholder Farmers in Malawi and she is based in Dedza District. She holds a Diploma in community development. 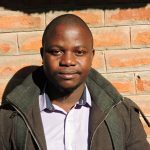 Tiwonge has 6 years experience of working in the Civil Society with focus in Agriculture, finance and administration with a portfolio that includes project planning and reporting. In the past years she has coordinated capacity building of project staff and farmer groups in agribusiness management and facilitated linkage of farmer groups with sustainable markets. She posses vast experience in handling soya and maize. She holds a Bachelors of Arts in Business Management. Charles has 19 years working experience in the areas of forestry and agriculture in general. He joins Kusamala on the Energy Forest for Malawi project baed in Mangochi district. 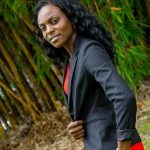 He holds a Diploma in Community Development level V.
Phyllis has 7 years experience of working in the Civil Society and Government sector. She joins Kusamala on the Energy Forest for Malawi Project based in Mangochi district. In the past years, she worked as Agriculture Extension Development Officer (AEDO) for the the Ministry of Agriculture Irrigation and Water Development. Her roles included but not limited to rehabilitation of degraded forests, training farmers in soil and water conservation techniques like Climate Smart Agriculture and agro-forestry. She holds a Bachelors of Science in Forestry. Young comes with 5 years experience in Finance and Administration. 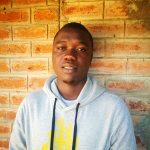 He holds an ICAM Accounting Technician Diploma and currently pursuing a professional qualification with Chattered Accountants Malawi with ICAM.Young works in our Finance and Administration department. He is responsible for supporting both Kusamala and the Multisectoral food and nutrition security project administratively. 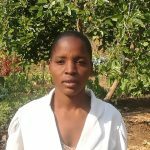 Charity has 13 years valuable experience in the areas of fruit propagation,beekeeping, cooperative formation, village savings and loans, crop and animal production. She is working on Multisectoral Food and Nutrition Security for Young Smallholders project based in Mangochi District. She holds a Diploma in Agriculture and Natural Resources Management. 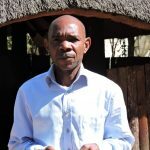 Chrispin has 23 years working experience in the areas of forestry, irrigation, agribusiness, crop production and fish farming. 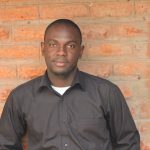 He works on Mwana Alirenji project based in Ntcheu District. He holds a Diploma in Community Development.